What if Vect made a deal with Slaanesh? I was flipping through the codex the other day when it hit me--many DE fans seem to love Vect for being the archetypal sinister mastermind, and what better twist than for him to be in cahoots with the Great Enemy? That is some next-level sinister mastermind shenanigans, imo. I thought the death of Vect was an interesting idea. It demonstrated that the narrative is not immutable, and that even the most powerul and iconic characters are not necessarily immune to a changing world. This gave the narrative some punch! Or it would have, were it not undermined by "it was all just a ploy". Vect's supremacy feels kinda static to me, like how characters in some TV shows never grow older. I'd almost say why bother with the ploy at all if there were no stakes for Vect as a character--but the whole "Living Muse" aspect of the story is intriguing enough that I ultimately found it worthwhile. My initial thought was that it'd be cool if Slaanesh was somehow involved in Vect's rebirth. The idea that Vect would be willing to *sell out Cormorragh to Slaanesh* just to stay in power would make for a very flavorful plot development and character development. But that line of conjecture has led me to even more interesting possibilities. Like, rather than merely making a deal with Slaanesh to be reborn, what if Vect initially forged a pact with Slaanesh when he first began his ascension to supremacy? What if Slaanesh has acted as the power behind the throne all along, reshaping Drukhari society (such as the implementation of the kabal power structure), secretly feeding off not merely the Drukhari, but the exponentially greater number of victims they capture for sustenance?That would make Vect's static, uncanny supremacy much more interesting, imo. Even better, what if Vect is Slaanesh? What if Vect really was murdered, and the rebirthed Vect is actually an avatar of Slaanesh, which is able to manifest now that Khaine's Gate is opened. Now I'm not saying that I necessarily think this is where the lore is headed or anything--I like that it's vague enough to promote conjecture and conversations. But I am curious how you'd react if this ended up being "canon". I guess many folks' reactions would depend--at least in part--upon their opinion of Slaanesh. I like Slaanesh. But the default fluff--that the Drukhari fear, hate, and oppose Slaanesh--doesn't feel entirely "in-character" to me. In a post-Fall world, there is only one thing the Aeldari could do which is even more depraved than continuing their hedonistic ways--and that would be to embrace Slaanesh--despite or even because of its desire to consume their souls. I can think of nothing so depraved as seeking out something metaphysically inimical to one's own existence. What could be more "next-level" depraved than that? This could enrich other facets of the Drukhari ecology, for example their "sustenance through suffering" ability. Perhaps it is a "gift" from Slaanesh, a way for the Drukhari to spread suffering and excess--and for Slaanesh to feed on their souls--indefinitely. Any or all of these revelations would recontextualize Vect, Drukhari society, and the relationship betweeen the DE and Slaanesh--and everyone is cooler / more interesting for it, imo. All that said, I like that the fluff in the codex is vague--that way, everyone can see whatever it is they want to see in the tea leaves. But I love this idea and I'm running with it. I'll be incorporating it into my army's theme, even. But what's your opinion? What do you think is going on with Khaine's Gate or Vect or the mandrakes or the Living Muse, etc.? Absolutely not. Yes, the Dark Kin are depraved hedonists that see no reason to stop their ways of debauchery even after the birth of the Great Enemy. However, under no circumstances will they willingly follow Slaanesh. Every single thing they do is because they loathe, abhor and fear Slaanesh. Every single drop of blood spilled is driven by the dreadful fear of "better you than me". Sure, no one of the Dark Kin would fully admit their fear, they would show no remorse for all the slauvhter they have done, and yet all they do is always driven by their soul's desperate need to survive, at any cost. Embracing Slaanesh leads only to an end even worse than what they submit the lesser races to in Commorragh. With this in mind, no, it would be an absolute nonsensical idea for Vect to be a puppet of Slaanesh, for that is how dealing with Chaos gods truly works. Never an equal, only an asset at best that can be discarded. Vect already has that with the Dark City. During a dysjunction, the Black Heart slaughter every aingle living being in any subrealms that have been breached by daemons of Slaanesh. 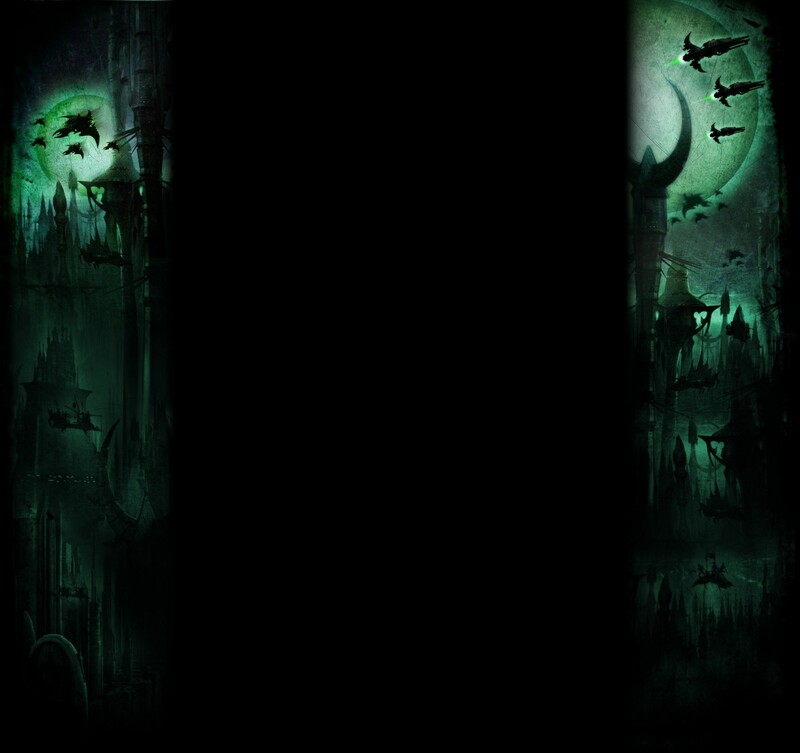 There are no psykers allowed in Commorragh under the hellish pain of death so as to not weaken the subrealm walls, rule existing to prevent Slaanesh's gaze setting on the Dark City. All the forementioned aside, there is simply nothing that Slaanesh could possibly offer to Vect that he already doea not have. This is true even with the assumption that daemons and Chaos gods do not lie. Hoh. a very interesting prospect indeed, with very dire consequences if true. The thing you fail to realize Siticus, is that Vect at one point in time did not have "everything" he could ever want. At this time, with dreams and aspirations of greatness, he would have been susceptible to the chaos gods. I'd even go so far as to say, perhaps it was Tzeentch that is the mastermind behind him. Vect seems to know a great many things, and have an incredible insight into even more, twisting and turning events as they happen to his own benefit and the detriment of his enemies. Any chaos god could have promised him power and wealth. And he achieved it. Could he have attempted to throw off the chaos god afterwards. I'd say yes. Does Malys know this...maybe? So now that we've discussed Vect's reason for submitting to the ancient powers, how about the Chaos Gods. Whats in it for them? Siticus, I once more must disagree with you, I see that you joined this site back in 2011, you have known the chaos gods for quite some time. This might upset you, but with the recent changes of how GW does things now, I'd say the differences in the old chaos gods to the new is comparable to God in the Old Testament compared to the New Testament. The reason I say this is because of the introduction of Age of Sigmar. For anyone reading this, go look it up, it's actually really epic. Long story short, Archaon laid waste to the known world and ascended to become a demi-god with aspirations to be a true god, still as Chaos Undivided. Each chaos god wanted him for their own, and tried to stop him with their chosen champions, who he in turn, killed, took their souls and grew more powerful, at which point the chaos gods shrugged, acknowledged him and moved on. So to bring it back on topic, the way the chaos gods USED to work, is no longer a valid point. And you yourself said it. "Better you than me." What if Vect is supplying Slaanesh with Aeldari souls? or just souls in general. like he has to make a tithe or something. While what you say about Chaos gods is true and that they find a way to weave themselves into the plots of mortals, it would be a terrible shame and a gross oversimplification to go and write Vect's ascent as just a plan of the Changer of Ways. Yes, Tzeentch indeed is the great schemer and plotter, but that does not suddenly mean that every single soul that dares to change their own fate with sheer determination is his puppet. There is simply no way of knowing this, and the writer that would outright eliminate such a grand veil of mystery of a rather established character (at least since the Dark Eldar conceptual redesign in 5e), well, he would be committing a heinous crime indeed. "I look upon the doom that we created, every cycle. I feel the gnaw of it, the lure of subservience, the promises of glory. I face it, accept the whole truth of what it is, and I fight. Am I a predator, feeding others to the beast that stalks me? Yes. And a scavenger too, for I will fling whatever morsel I find into that maw to keep it busy for a few more moments. Every heartbeat is precious to me, but do not thing I am afraid of death. I have drawn more out of life than any other of our kind." "You are not immortal! You are dead! You think and move and fight and... There is nothing to you. A puppet of Khaine's memory, strings twitched by the death gasps of Asuryan. I live! I am truly immortal! Let the Prince of Pleasure court me, I do not need his favours. I have a city, a kingdom of countless souls to command. I can extinguish suns and destroy worlds, what do I care for the trinkets of power the Great Enemy dangles in front of me?" Do you feel the writhing, relentless spite against his inescapable doom at the hands of Slaanesh down the line? The unbreakable drive to do everything but to bow and to be swallowed? The sheer determination to rule his own fate, no matter what? None of these are the qualities of one that will be lured by the Dark Gods, for Vect's very essence is about spitting in the eye of the very world. That is the one rule of Commorragh: no gods, no masters, only Vect. There simply is nothing to gain in eliminating such a strong character drive with giving in to Slaanesh, or any other god. You bring up Age of Sigmar, but know that the utter destruction of the Old World was primarily motivated by sales (and as time has shown, it was justified, though painful). Nothing of that magnitude applies to 40k - many feared that 8e would be End Times 2: Electric Boogaloo, but it has been anything but that, because 40k makes a lot of money, and right now it makes a whole boatload of money more. That is why I firmly believe that Vect will only ever serve Vect, and no one else. This cheapens his story. I prefer the Dread Pirate Roberts theory over yet more Chaos shenanigans. Very enjoyable read, guys. Great posts. Say Vect had indeed sold his soul to Slaanesh (may not be the best word, since Slaanesh basically has a lease on every Drukhari soul to begin with, but anyway). We know Lady Malys sold her heart to Cegorach. And there's a very good argument that Drazhar has sold his body to Khaine... throw in Yvraine and Ynnead, and we have avatars of just about every relevant Aeldari god playing for the Dark City. I suppose we just need a representative of Isha. Where's the soulsinger from Path of the Warrior at these days? Vect has been around since the fall if I'm not mistaken and has used the time post fall to build an empire and secure himself as supreme overlord. He's held this position for an extremely long time. Long enough to set up plans to rise to godhood himself. I think making him a pawn or even Slaanesh himself would be a cope out. I like that dark eldar don't directly follow any gods other than themselves. The reason Ynead matters to him is that it threatens the power structure he is on top of. There is only 1 flaw in your theory. The harlequins were there when Vect was reborn. They would definitely have noticed if Vect would have ascended to demi-god level, or was tainted by Slaanesh. They were aware Vect would rise. Why? Because it's not Vect. Vect died and his body has been replaced by a well-made copy of him, controlled by the harlequins. Wow, color me impressed Siticus, those are some excellent quotes. Completely blew my argument out of the water. good, VERY GOOD!!!! I will admit, I have the books sitting around and haven't gotten to them yet But yes, let me thank you for going out of your way and taking the time to find those quotes, they are quite excellent. And @ Archon_91 interesting prospect, GW seems to be blending some of the ideas that they've fleshed out in Age of Sigmar into 40k. I like the idea that people can become the equivalent of demi-gods, starting to shake off their mortal coils. It helps expand on why space marines live so long and how despite being baseline demi-gods, there's such a huge difference between the average Space Marine and some of the bigger beasties like warbosses, etc. I guess it helps explain the process of Primaris Marines as well. Back to Vect though. Assuming he actually is becoming a Demi-God, are there other Dark Eldar like him? Surely he can't be the only one. Lilith, Drazhar, Kheradrakh? Does one have to contact with a god to become a demi-god or can it be achieved through personal means? I find that the very same book about Jain Zar contains the answer about demigods. I love that book because it explores so many nooks and crannies of eldar psyche, and Thorpe's stroke of genius is the two narratives of Jain Zar - one the Phoenix Lord we all know, and the other the scared, unsure gladiatrix scrounging about the ruins of the Fall. Asurmen and Maugan Ra are shown in their former, living selves too. It is magnificent to see of what humble origins they hail, once mere mortals, but now immortal demigods with a fate so set, so straightforward that the seers balk at how their arrow-straight string of fate warps all other skeins around them. So if a skinny nerd hiding in some half-warp-swallowed library can one day become the incarnation of cold hatred that alone stands against a hive fleet, each of the Eldar has the potential to become something equally great through sheer will and determination. “Thorpe”” and “genius” are two words I never expected to read in a sentence. What can I say, I love to exceed expectations. You are assuming Vect was actually killed and required resurection. The codex is very clear on this, he was reported killed and tehn in the Grand Wake arouse from the centre of the arena, perfect in form. I find it far more likely that the whole thing was a ruse and a set up, that he never died and it was another of his overt displayes of power. I think I’d rather stick with genius super villain Vect. Enough of 40K is being highjacked by Chaos as it is. We’re teetering on the edge of AoS and I will not have them kill 40K too. Of course. But he changed. Why call himself "the living muse" if he never died, or nothing really special happened. Vect never cared being called a muse or anything. Why all of a sudden he wants that? When there's some girl running around with a whole bunch of fancy titles like Opener of the Seventh Way and Dauther of Shades and backing some of that up, Vect felt he needed that extra zazz to stay fresh. Besides, he's never had a funeral - haven't you ever wondered what it'd be like to hold one? Yeah, Yvrain and the Ynnari represent the single biggest challenge to his hegemony since Shaa-dom rebelled 3.5 millenia previous and unlike with El-Uriaq he's so far been unable to kill her. Declaring himself the Living Muse in a grand display of power where he dicisevly shows his control over the life and death of almost all other Archons thoroughly cements his hold on Commorragh. Subject: Re: What if Vect made a deal with Slaanesh?